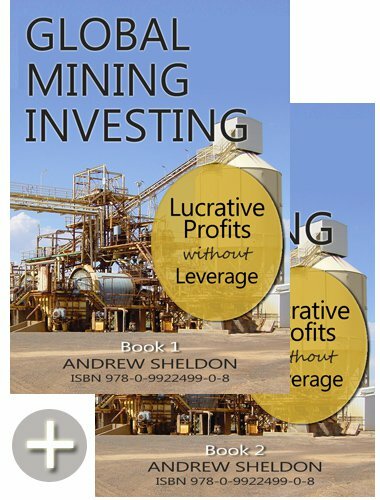 Global Mining Investing $69.95, 2 Volume e-Book Set. Buy here. Global Mining Investing is a reference eBook to teach investors how to think and act as investors with a underlying theme of managing risk. The book touches on a huge amount of content which heavily relies on knowledge that can only be obtained through experience...The text was engaging, as I knew the valuable outcome was to be a better thinker and investor. While some books (such as Coulson’s An Insider’s Guide to the Mining Sector) focus on one particular commodity this book (Global Mining Investing) attempts (and does well) to cover all types of mining and commodities. Last night we were reminded of the small size of the gold market is, as it was dumped by financial institutions. The gold price fell $US37/oz or 4.6% to $US792/oz, having just risen short of $US850/oz. I guess no one is more surprised than Frank McGhee, head precious metals trader at Integrated Brokerage Services in Chicago. He told Reuters "I would be very surprised to see it penetrate much below the $800 level". I am too Frank....I am too. 4. Falling oil price - it fall $2.70/barrel overnight to $93.62. Not so significant. But like Frank I was surprised that gold fell below $US800/oz, and I'd be surprised if it falls back further given the Iran situation. Mind you I dont see the Iran issue flaring beyond a few bunker-busting missile hits on nuclear installations in Iran. However the risk upside should lift gold. In the short term, maybe there wasn't enough concern there to lift gold, and it was just technical trading. Looking at the charts its not so surprising that gold fell off from a major support, and perhaps its more the fact that equity markets were coming under pressure at the same time and were sold into to cover losses elsewhere. Market liquidation hurts all markets. For this reason, without any solid support for gold (Middle East tensions and an interest rate cut), I think gold will continue to fall as long as the larger equity markets are being sold. More importantly, the sell off may in fact be a symptom of forthcoming hedge fund losses. This is the biggest sell-off of precious metals since June 2006 when futures fell 7.6%. At some point equity markets are going to price in some inflation into their earnings multiples (PERs). When this occurs we can expect a significant fall in equities and, and I think it will flow through to gold until that inflationary expctation becomes a market reality. At that point we will see a stellar performance from gold. The chart of the Dow Jones below shows that gold is close to the major 12800 point support that it fell to in Aug-07 sub-prime related sell-down. On Thursday we are due for another interest rate setting by the Federal Reserve. It seems more than likely that there will be another Fed cut at that meeting. This will prove negative for the USD, but you would think positive for gold and equity markets. It should keep the Dow above the 12800-point support a little longer. But after a big fall in gold, I dont see a rapid recovery in gold. More likely a more gradual decline to the major $740 support, then I think we are in for a more significant rally than the last. In the chart below we can see that gold was sold off within a fraction of the $850/oz resistance reached in Jan 1980. That last red candle is an engulfing candle, suggesting that gold has parred back all the gains of the previous week, and is a sign of further weakness. I dont see any significant support until the $740/oz level, suggesting there are significant falls in gold coming. I think that support will prove to be a very solid one, and I dont see a fall to $US700/oz. So we might be looking at a post-Xmas rally in gold stocks, but until then I suggest growth-related stocks look more promising as equity markets go for another rally. But at some point inflation and risk premiums will be priced into markets. Global Mining Investing $69.95, 2 Volume e-Book Set. 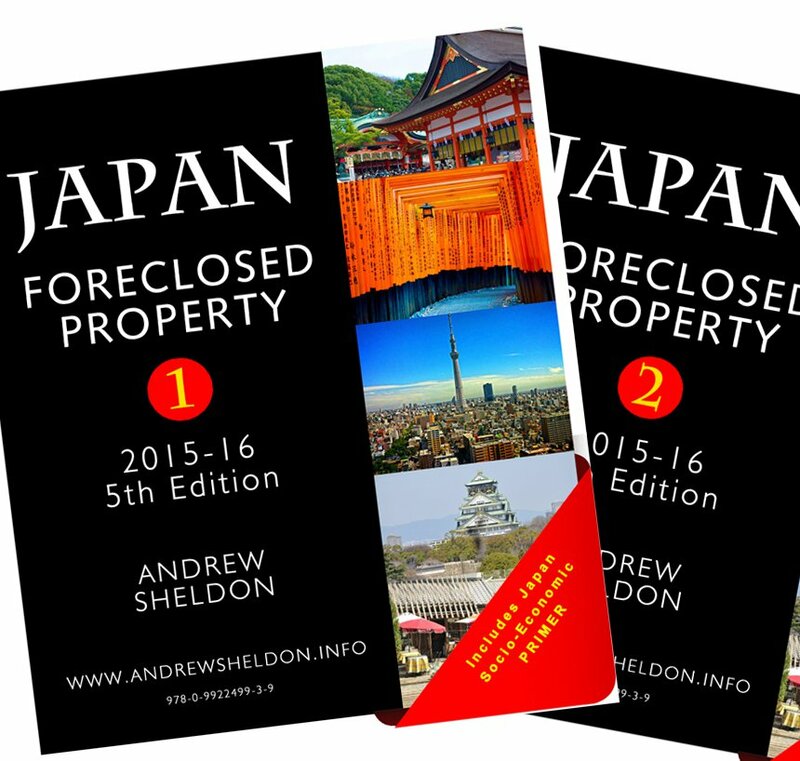 Japan Foreclosed Property 2015-2016 - Buy this 5th edition report! Over the years, this ebook has been enhanced with additional research to offer a comprehensive appraisal of the Japanese foreclosed property market, as well as offering economic and industry analysis. The author travels to Japan regularly to keep abreast of the local market conditions, and has purchased several foreclosed properties, as well as bidding on others. Japan is one of the few markets offering high-yielding property investment opportunities. Contrary to the 'rural depopulation' scepticism, the urban centres are growing, and they have always been a magnet for expatriates in Asia. Japan is a place where expats, investors (big or small) can make highly profitable real estate investments. Japan is a large market, with a plethora of cheap properties up for tender by the courts. Few other Western nations offer such cheap property so close to major infrastructure. Japan is unique in this respect, and it offers such a different life experience, which also makes it special. There is a plethora of property is depopulating rural areas, however there are fortnightly tenders offering plenty of property in Japan's cities as well. I bought a dormitory 1hr from Tokyo for just $US30,000. You can view foreclosed properties listed for as little as $US10,000 in Japan thanks to depopulation and a culture that is geared towards working for the state. I bought foreclosed properties in Japan and now I reveal all in our expanded 350+page report. The information you need to know, strategies to apply, where to get help, and the tools to use. We even help you avoid the tsunami and nuclear risks since I was a geologist/mining finance analyst in a past life. Check out the "feedback" in our blog for stories of success by customers of our previous reports. Download Table of Contents here.